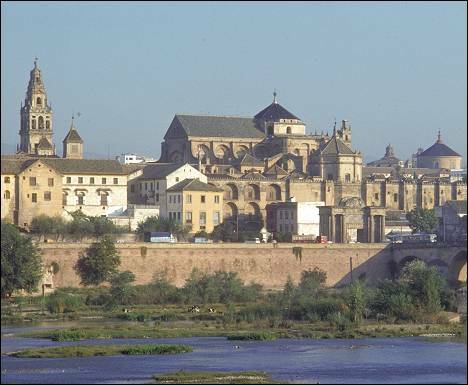 Besides its monuments, Córdoba has plenty of other gems on offer. What do you think of the narrows streets of the Judería? Watch flamenco, try some of the local wines or enjoy the nightlife! 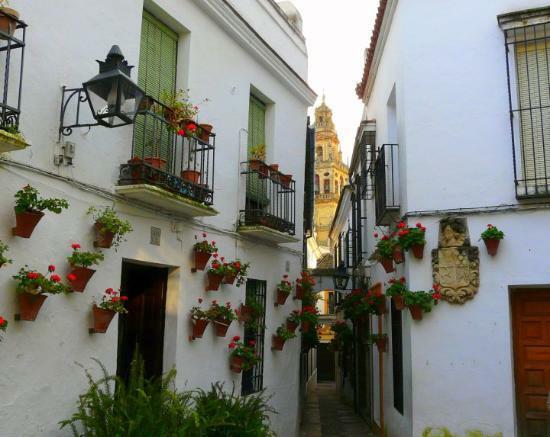 The best period to visit Córdoba is May. In May the weather is wonderful and the city celebrates a lot of traditional festivals such as Las Cruces (The Crosses) and the competitions of Patios (full of flowers). If you’re here during the last week of May, you’ll have the chance to experience La Feria de Nuestra Señora de la Salud (The Fair), which is the best festival of them all! You must be hungry now! Some local specialties are the salmorejo, which is a delicious variation on the well known gazpacho. Or try the flamenquines (Pork and Ham Rolls), the Iberian cured ham or the bull´s tail. For dessert you must try el pastel cordobés (the Cordovan pie), which is made of puff pastry and pumpkin preserves. Some recommended places to please your tastebuds are Taberna Salinas (C/Tundidores, 3), Taberna Góngora (C/Conde de Torres Cabrera, 4) or the bar “de tapas” El Sótano (Corredera Square,1). In case you want something more luxurious, go to Casa Pepe or El Churrasco (both in the Judería. C/Romero). After dinner it´s time to party! If you are interested in flamenco, you can go to the Tablao Flamenco Cardenal, which is next to the Mosque-Cathedral (C/Torrijos, 10). There is always a flamenco show going on. There is more than flamenco though, so if you want to escape the Spanish stereotypes you can go to cool pubs such as Soul (C/Góngora, 10) or Jazz Café (C/Espartería). Both are situated in the downtown area. The night is very long in Córdoba, so if you still want to continue the party after these pubs, you can go to Underground (a disco with non-commercial music) or Góngora Café (C/Góngora, 10), where you will hear the latest commercial hits. When the party is over, you will need a place to sleep! There are many different options. If you don´t have a lot of money, you can go to the Youth Hostel, which is just a few meters from the Mosque on a square in the Judería (Plaza Judá Leví S/N). If you want to spend a little bit of money, sleep in the beautiful Hotel San Miguel, located downtown (C/Zoilo, 4). Prices for rooms range between 40 and 60 Euro per night. As you can imagine, life is very nice in Córdoba! Last but not least, avoid visiting Córdoba during July or August, because the temperatures in summer can reach 45 degrees!